Altered Instinct: Which ebook reader do you use? 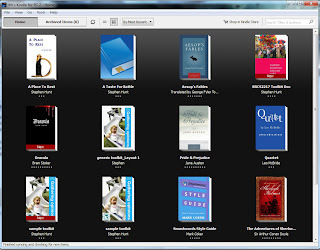 Which ebook reader do you use? There's no shortage of ebook readers out there - and more than a scattering of formats. Interestingly, though, there seems none of the vitriol of previous format wars, with mobi format sitting happily alongside epub format and more besides. Banish any thoughts of the VHS v Betamax days. Rather, what seems to have evolved is a marketplace of personal preference. Like many who turn the virtual pages of an ebook, I have my own preferences. 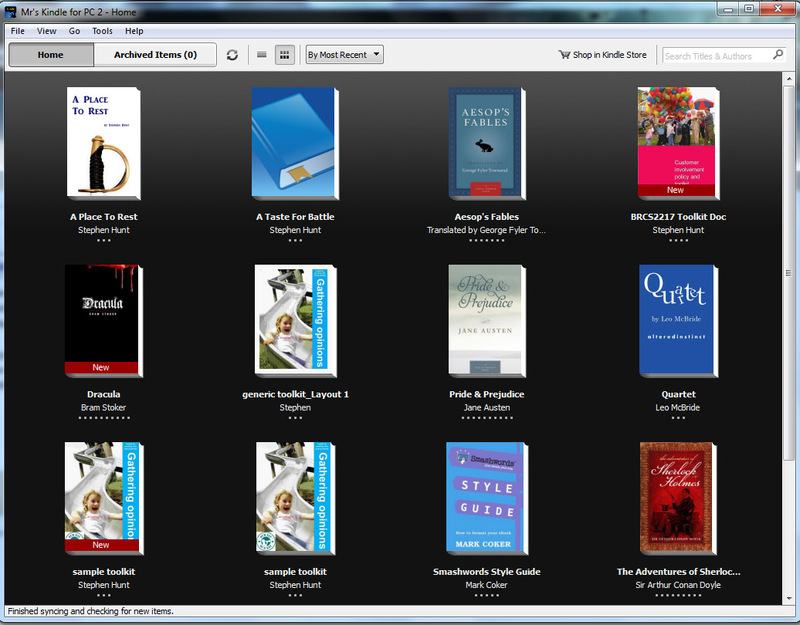 There are three bits of software I use for my book reading: Kindle, Sony Reader and Adobe Digital Editions. By preference, I like the Kindle software, which has the most organic feel to it. I use my Kindle reader on my PC, and the layout is clear, easy to navigate, and there's something charming about its appearance. The reader itself is a pleasure to read, although of course one does suffer from PC glare if reading too long, but that's not the software's problem. Certainly, the software has ensured I often linger over the "Add to cart" button on Amazon's Kindle collection. Adobe Digital Editions was the first epub file reader I turned to and, while it serves its purpose, its navigation is not as friendly as the Sony Reader. Too much scrolling makes it pernickety, and the Sony simply handles things smoother and quicker in my experience. The Sony sadly doesn't have the stylish appearance of the Kindle, and its library seems occasionally temperamental. So to turn it over to readers - what do you use and what do you like about it? And what do you hate? Definitely the Kindle. Shame it also doesn't handle the epub format. If it did, forget the rest!! Ive had a Kindle for 12 months or so,I bought the leather case with built in book light at the same time,love the feel,light and easy to handle reading one handed,the book light falls accross the screen at a perfect angle and runs off the kindle battery.the screen is easy to read,with adjustable font size,linked in to Amazon wifi,so no worries about conectivity,super fast down loads,rapid re-charge..too many features to list here..needless to say,Kindle is my No1 choice. I've not bothered getting one, despite being fairly up to date on all gadgets. I think I'd get a Kindle if I didn't like real books so much.